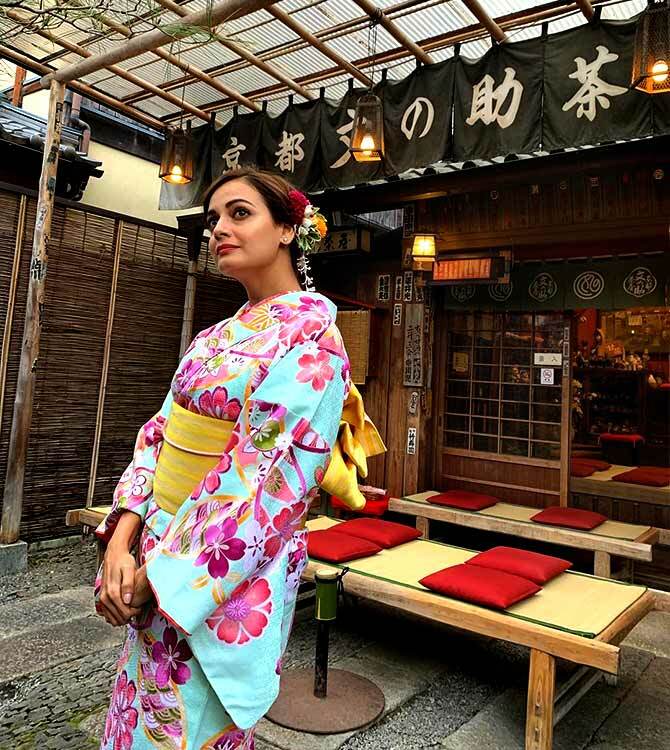 Rediff.com » Movies » What's keeping Dia Mirza busy? 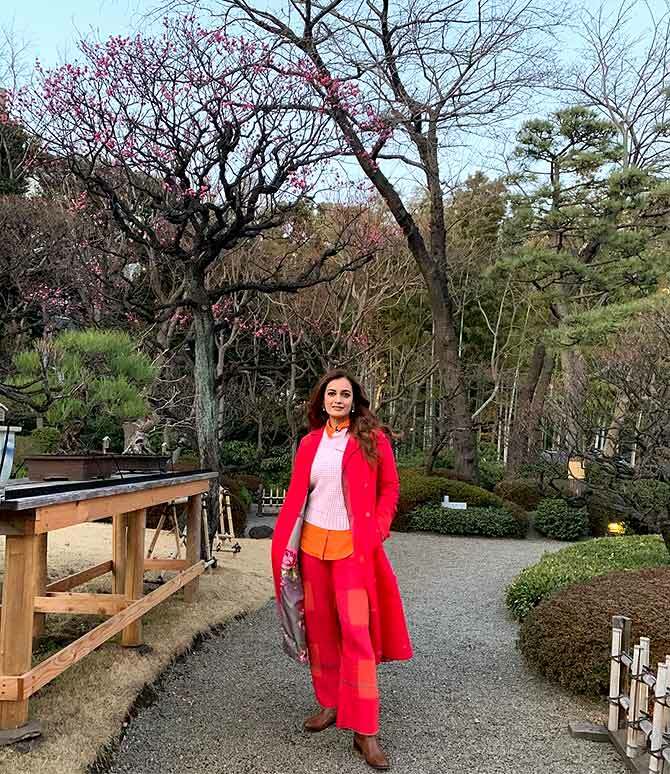 The actress is exploring the winter wonderland that is Japan. 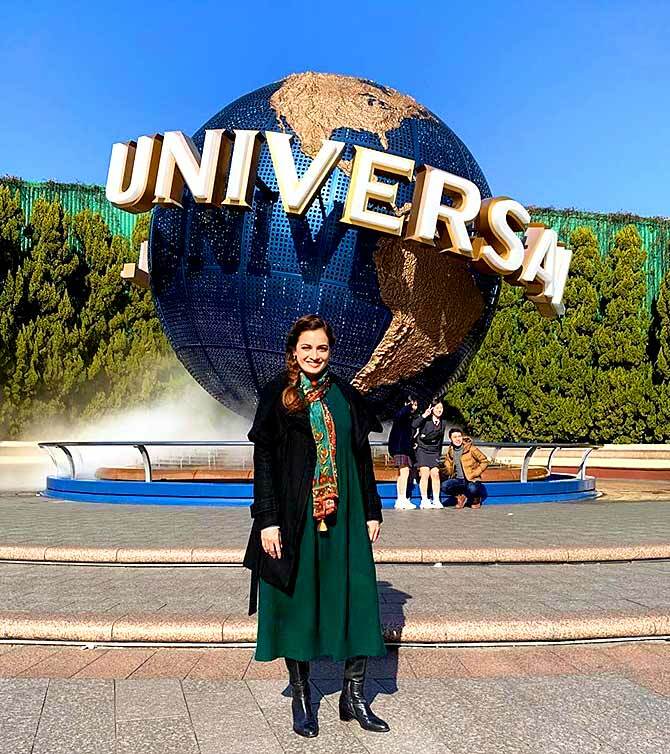 From modelling to acting to hosting television shows, Dia Mirza has done it all, but it's the travelling that the former beauty queen can't get enough of. And so it's no wonder that her Instagram account is filled with pictures from her holidays. Currently, Japan is dominating her Insta feed, and it sure looks good from Dia's eyes. 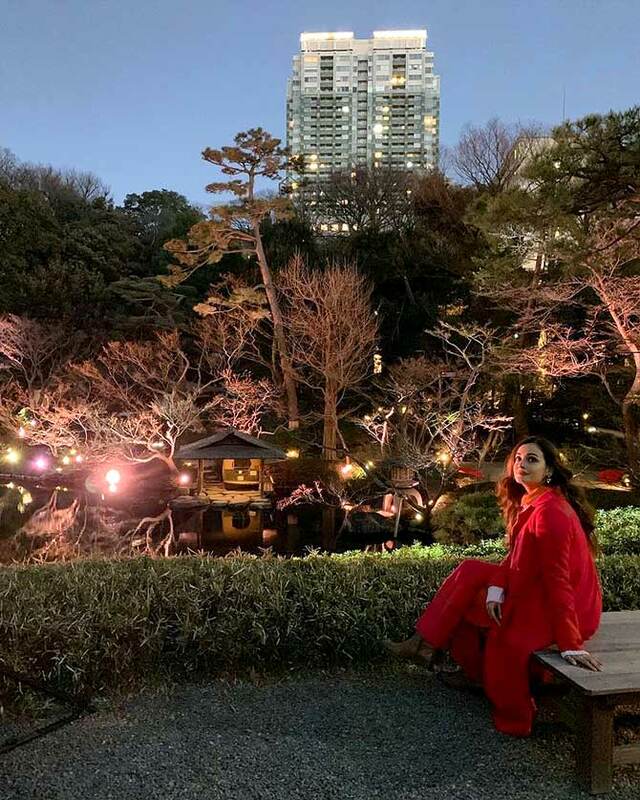 Dia's first stop is the magical garden of Happo-en in the middle of Tokyo. How cool is Dia's winter look: Stylish yet super comfy. 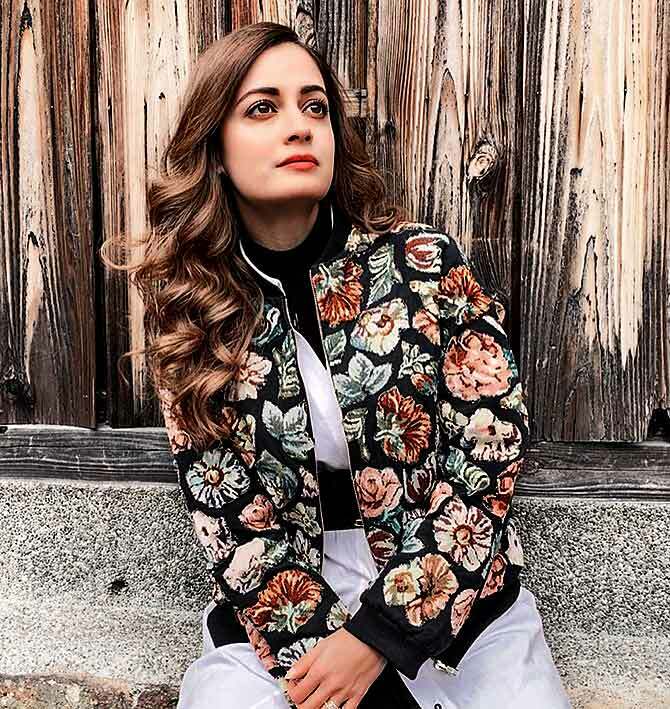 'Always seeking nature', writes Dia. Time to explore the ancient capital of Japan, Kyoto. 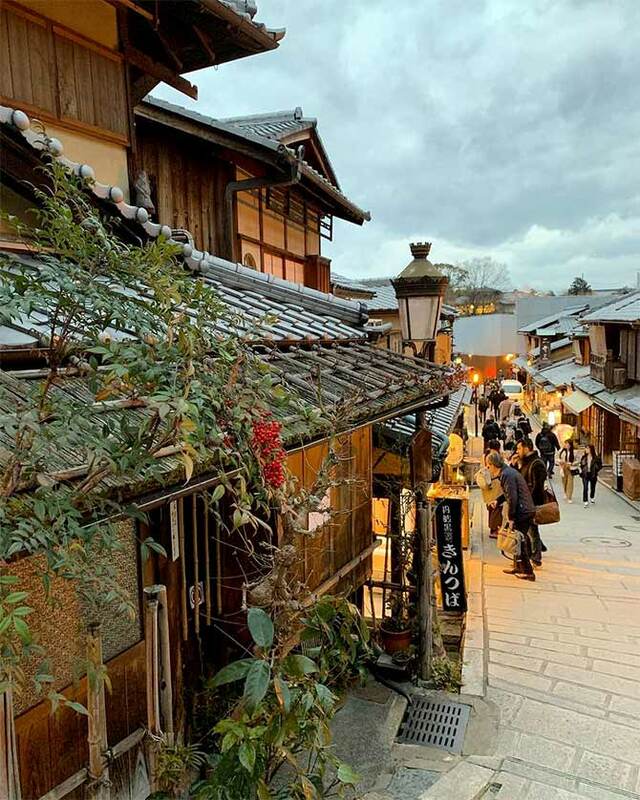 Dia captions the pic, 'A winters evening in #Gion... The wonder in the cobblestone alleyways, the stories, the infinite possibilities, need to be seen and felt'. 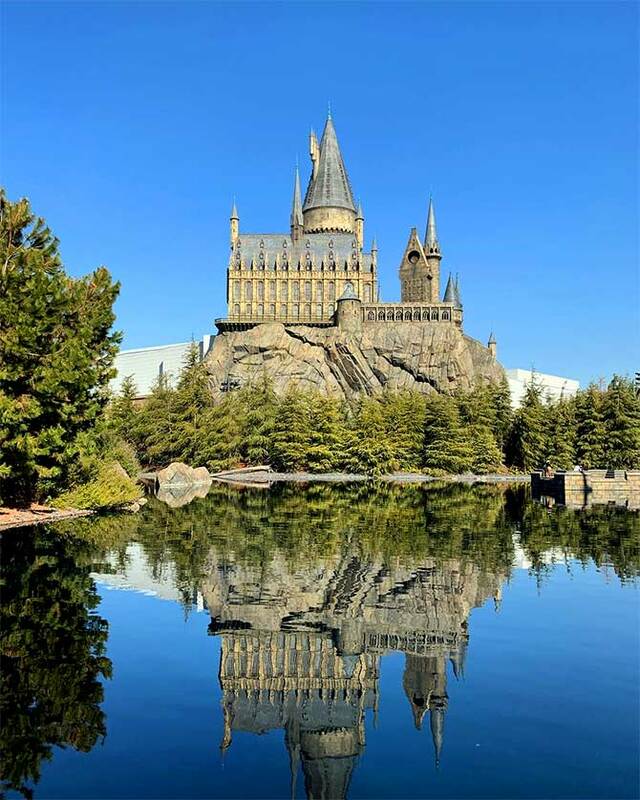 And that's the wizarding world of Harry Potter at the Universal Studios Japan in Osaka. ...And the globe at the entrance! 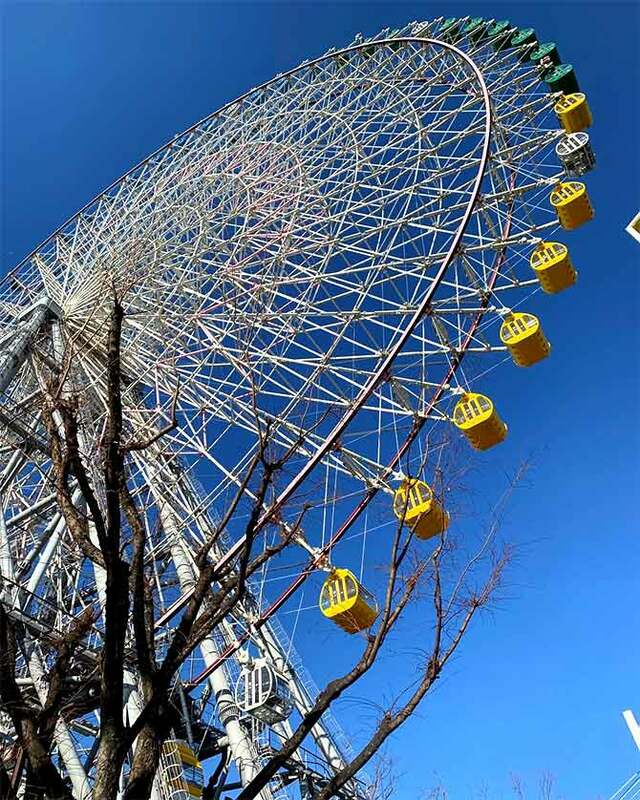 The famous Tempozan Ferris Wheel in Osaka. Sharing this picture, Dia writes, 'Crisp clean air, blue skies and what a high! The Tempozan Ferris Wheel is such a great way to witness the city scape, harbour line and a magical sunset'. Doesn't Dia look pretty in a kimono? 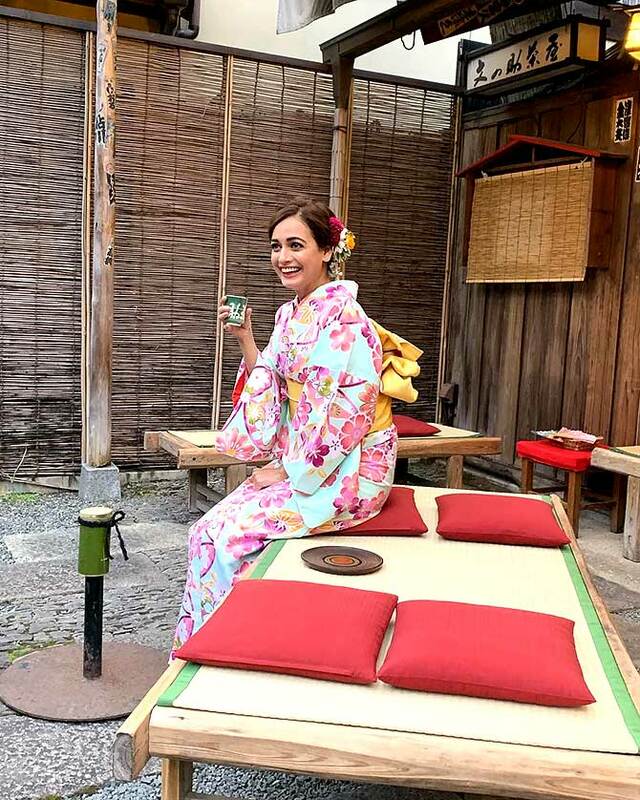 Sipping away Japanese green tea, that's Dia being all touristy. 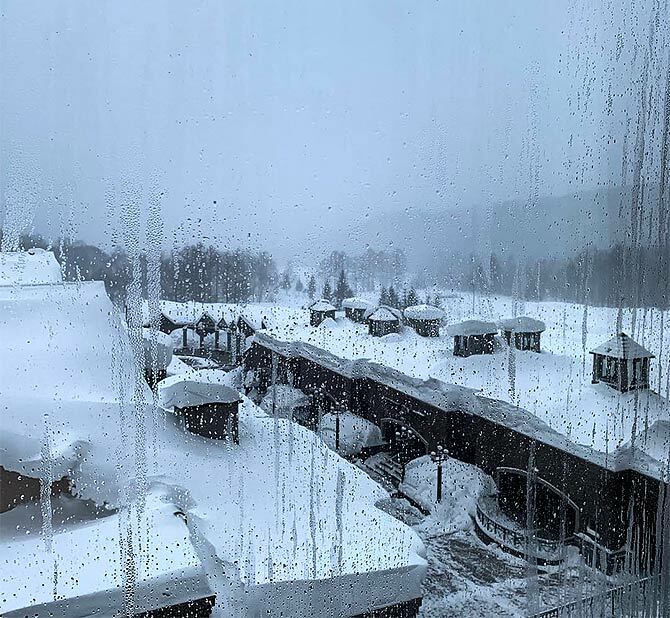 A snowy day in Japan; Dia shares the view from her room. Looks like everyone is feeling the chill!